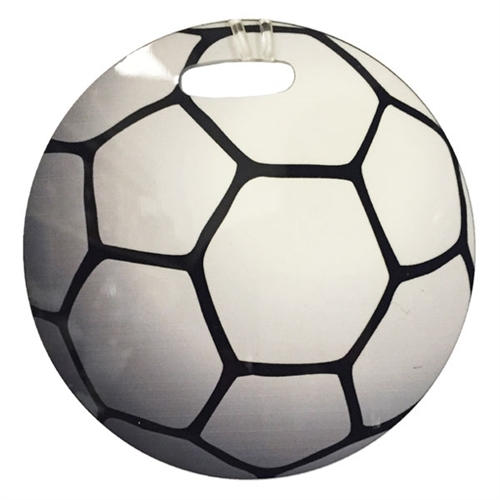 White Gloss Fiberglass Reinforced Plastic, Round, 2-sided 4" diameter, 3/32" thick, 1" Oval slot for clip. 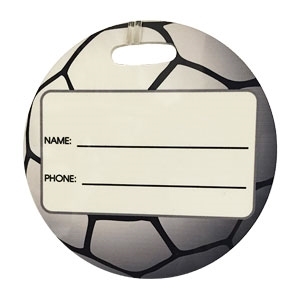 Excellent large round tag for Sports bags or Golf Clubs. Our Custom Big Circle Bag Tag are a great gift to give your players or even your loved ones. Customize this bag tag with any image!